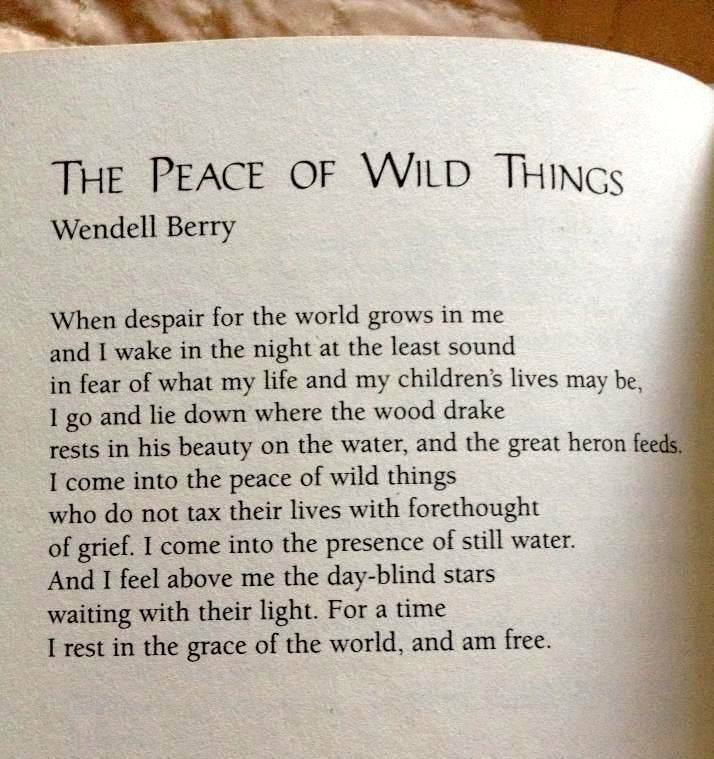 What book did you find ‘The peace of Wild Things’ in? I just hunted around, but failed in my search. I am fairly sure that I found it in a collection selected by Garrison Keillor, titled GOOD POEMS. He’s put out a few, and they are all very good; he has an eye for the accessible poem. I can also recommend GOOD POEMS FOR HARD TIMES, also selected by Keillor. Good luck, sorry I was not more helpful.